Perfect for those who would like to try paragliding for the first time. No experience necessary, you fly with a certified instructor! Our most popular flight is 5000ft decent. Includes 4K video. To fly tandem with one of our instructors you must be physically able to run and weigh less than 230 lbs (105kgs). Persons over this weight may fly after clearance with us. Is flying tandem paraglider dangerous? Paragliding can be dangerous. We understand the dangers involved and do our best to minimize the risk. You will be flying with one of our A.A.V.L certified instructors. We only work with the most professional and experienced Tandem instructors. Why do you only fly in the mornings? We only fly Tandem in the mornings because that is when weather conditions are most calm and predictable. We want everyone to have a safe and pleasant experience. Can I see the sunrise at the Cerro Otto and still get to your location on time? Yes, we meet two hours after sunrise. On your way, we recommend you stop at the top of Cerro Otto in case you want to use the restroom and get a Coffee if you like. When you fly tandem with our instructors, You’ll be strapped into a chair like harness. You’re locked in and can’t fall out. There is no sensation of falling. Everyone enjoys the feeling of gliding through the sky. Many people decide to fly after they see the giant smiles on their friends faces. How high & how long does tandem flight last? This exciting instructional introduction to paragliding allows you to soar with a A.A.V.L-Certified instructor and experience first-hand the joy of paragliding. After a brief orientation on the basics of paragliding, you and your instructor will be flying quiet and free over Bariloche. Our most popular flight is the 5000ft decent. This flight can lasts approximately 15-30 minutes. While the flight time may seem short, we guarantee the experience will last a lifetime. By comparison, a tandem skydive will typically last only 20 – 30 seconds of free falling followed by a few minuets of gliding after the parachute opens. With paragliding, we skip the terrifying part and get straight to the fun part, flying like a bird, free in the sky. How long has db Paragliding been in operation? 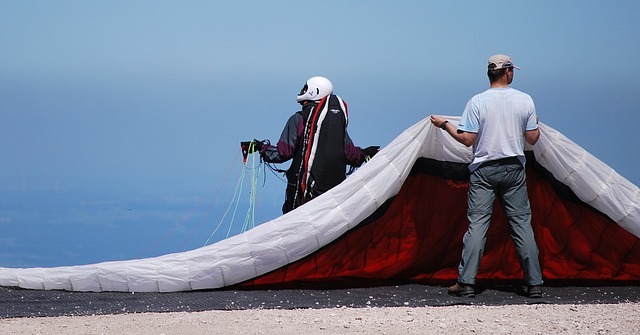 The team leader and owner, Don, has operated Paragliding since 2000. We have flown tandem with over 10,000 people. Cancellation can be done up to 48 hours before the flight. On our side, we reserve the right to cancel at anytime due to weather conditions. If you have more questions give us a call. Solo Instruction is the way to go for those who are ready to change. For many paragliding is not just a sport, but a way of life! Once you become a pilot you will never again go anywhere without considering the potential of flying. 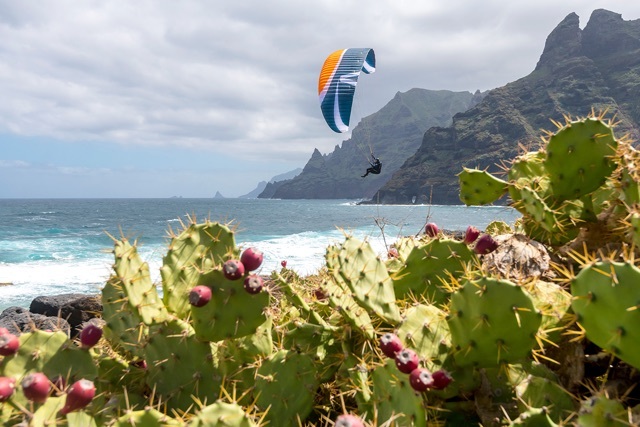 The basics of paragliding are relatively simple. Many students get short flights on their second or third day of training. You can get your solo P1- P2 rating by training for just three to four hours a day, for fifteen to twenty days, or more. Our course is designed to allow each student pilot to train at their own pace. Some students need fifteen days of training, while others require more. Our training hill is the envy of every paragliding school in the country, with one thousand feet of grassy slope and five drive-up launches. This site is perfect for student pilots, allowing them to progress gradually at their own pace. A paragliding “kit” will include the wing, a harness, and a reserve parachute. All this will fit in a special backpack that can be checked as luggage or carried up a mountain. All of our instructors are dedicated to making your learning experience safe and fun. Receive over US$500 of equipment with the P2 package. Our Team certifies of more P3 pilots than any other program in south America. We are the only school with a structured P3 (Intermediate) training program. Our P3 program takes about 20 days to complete. We have very high expectations of our P3 students. Once you’ve completed the training, you’ll be comfortable flying anywhere in the world. Copyright © 2019 Paragliding Bariloche. All Rights Reserved.